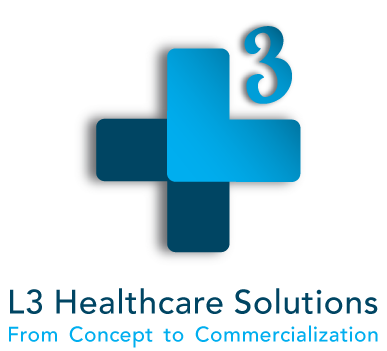 When you need marketing but lack the time, expertise or funding to support the added headcount, L3 Healthcare’s marketing services are an ideal solution. Our services go beyond a traditional marketing agency – we provide the marketing manpower when you need it, the know-how gained from years of experience, and the expertise you hope to one day hire. Out-sourcing L3 marketing services is a cost effective and immediate marketing solution that allows you to focus on growing the business. We offer a wide-range of strategic and tactical marketing solutions. From à la carte services to full-service projects, we know the latest trends, what works, and how to execute. We use our resources, team and technology to maximize the return on your marketing investment. With L3, you gain an entire department for a fraction of the cost of hiring. As your company grows, you may bring on the additional marketing staff. No problem. By reaching this point, it’s a sign of our mutual success, and one we embrace. We help transition projects and provide guidance to new staff members. Even with a full team, our clients continue to work with L3 as they seek solutions to changes in the market and competition, and during various stages of company growth where gaps inevitably form. For details on our tailored and effective marketing services, please contact us. Han Chen CEO, ZeaKal, Inc.
Brad Tritle President & CEO, Vitaphone U.S.